Jones, a former five time and three weight-division world champion, became a Russian citizen on Tuesday after being presented with a passport by President Vladimir Putin. 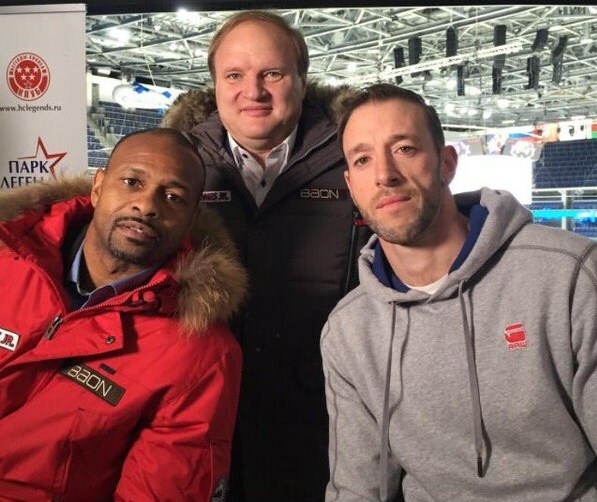 Welsh boxing star Enzo Maccarinelli will challenge American legend Roy Jones Jnr on Saturday, December 12 in Moscow. Jones, 46, is a former five time and three weight-division world champion and became a Russian citizen on Tuesday after being presented with a passport by President Vladimir Putin. The fight will be held at the VTB Ice Palace and it had been reported that the fight would be fight for the vacant WBA 'super' world cruiserweight title. But that has been described a false rumour by WBA president Gilberto Mendoza who insisted there was no approval from his organisation and the bout had not been requested to the championship committee. The Swansea ace Maccarinelli has registered 31 wins by knockout from 40 wins in 47 fights and has previously won British and European titles at cruiserweight and the Commonwealth title at light-heavyweight. ‘Big Mac’ has been campaigning at light-heavyweight for the last three years and challenged for the WBO eorld title last year against Juergen Braehmer, but the fight was stopped in the fifth round after Maccarinelli couldn’t see out of his right eye after a clash of heads in the opening round. Although Maccarinelli respects Jones for his incredible ring achievements and acknowledges he was the greatest fighter of the 1990s, he says he will knockout Jones. “Jones was a great great fighter, certainly the best of his era and a fighter that I admired, but that has to be put to one side as I have my job to do and that’s to knock him out,” said Maccarinelli. “It’s incredible how the Russia people have taken to Jones, he’s like a superstar here, with the media following his every move. “It takes the pressure off me because I’m seen as just an opponent for him, but I’m going to pull of a huge shock over here on December 12. “I’ve been campaigning at light-heavyweight for the last few years and I was recently nominated to fight for the EU title which I was all set to do. “But my promoter Frank Warren came in with this fantastic opportunity and how could I turn down the chance to fight a legend and secure my own legacy. Jones lost a light-heavyweight bout to Maccarinelli's former training partner Joe Calzaghe in New York in 2008. Promoter Warren added: “I’m delighted that I could deliver him the fight against Jones Jnr.